which is why we know that life has both its manic and magical moments. 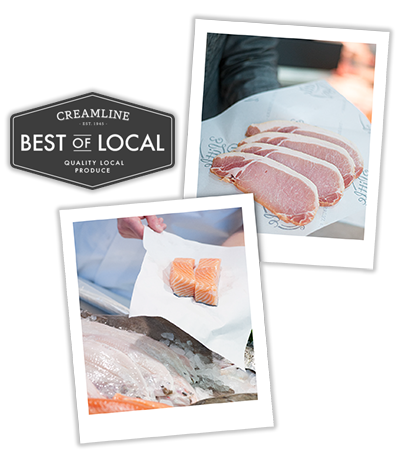 That's why we've created a Creamline service that suits your lifestyle - whether you're searching for last minute essentials delivered to your door the very next day, or fancy something special, like freshly basked bread or beautiful cuts of meat, from our Best of Local range. 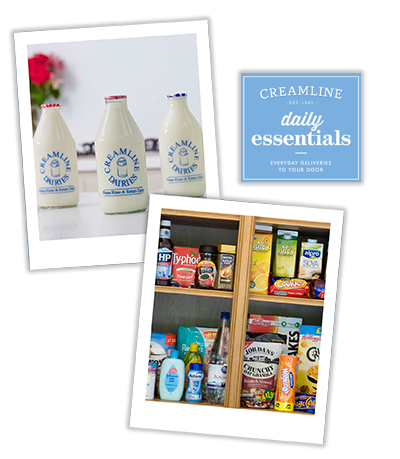 Born from Creamline's passion for working with local farmers (we deliver milk to 1000s of homes and businesses across the North West! ), the Daily Essentials range offers what you need, when you need it. Nowadays the Daily Essentials shop includes all sorts of wonderful items, from a baby range, to logs for the fire, cleaning products for the kitchen, drinks and snacks. Delivery is on us - normally by 8am on your chosen day. Why choose Best of Local? The food you love, from independent shops, with free delivery to your door. We've handpicked a selection of Manchester and Cheshire's very finest butchers, bakers, cheese specialists, fishmongers, grocery and fruit & veg producers. With our online shop stocked with the best of their beautiful produce, we can now deliver the food you love, straight to your door. Delivery is on us - normally by 8am on your chosen day. Monday Best of Local deliveries will normally be with you by 11am for maximum freshness! Just like heading to your favourite local shops - where each shop is run separately - you'll just need to remember to confirm your order in one shop, before heading to the next.